This permit might consequently be terminated if you disregard any of these confinements and may be ended by Viper Online Marketing whenever deemed. After permit termination or when your viewing permit is terminated, you must destroy any downloaded materials in your ownership whether in electronic or printed form. The materials on Viper Online Marketing’s site are given “as is”. Viper Online Marketing makes no guarantees, communicated or suggested, and thus renounces and nullifies every single other warranties, including without impediment, inferred guarantees or states of merchantability, fitness for a specific reason, or non-encroachment of licensed property or other infringement of rights. Further, Viper Online Marketing does not warrant or make any representations concerning the precision, likely results, or unwavering quality of the utilization of the materials on its Internet site or generally identifying with such materials or on any destinations connected to this website. In no occasion should Viper Online Marketing or its suppliers subject for any harms (counting, without constraint, harms for loss of information or benefit, or because of business interference,) emerging out of the utilization or powerlessness to utilize the materials on Viper Online Marketing’s Internet webpage, regardless of the possibility that Viper Online Marketing or a Viper Online Marketing approved agent has been told orally or in written of the likelihood of such harm. Since a few purviews don’t permit constraints on inferred guarantees, or impediments of obligation for weighty or coincidental harms, these confinements may not make a difference to you. 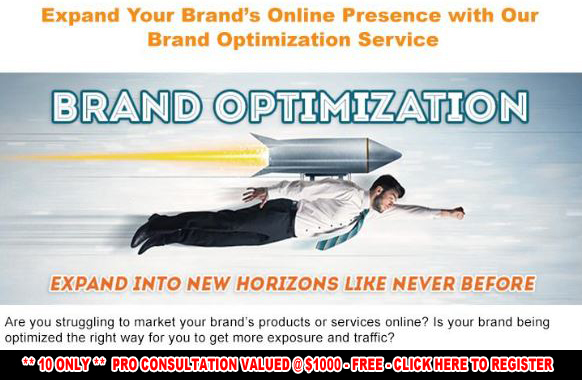 The materials showing up on Viper Online Marketing’s site could incorporate typographical, or photographic mistakes. Viper Online Marketing does not warrant that any of the materials on its site are exact, finished, or current. Viper Online Marketing may roll out improvements to the materials contained on its site whenever without notification. Viper Online Marketing does not, then again, make any dedication to update the materials. Viper Online Marketing has not checked on the majority of the websites or links connected to its website and is not in charge of the substance of any such connected webpage. The incorporation of any connection does not infer support by Viper Online Marketing of the site. Utilization of any such connected site is at the user’s own risk. Viper Online Marketing may update these terms of utilization for its website whenever without notification. By utilizing this site you are consenting to be bound by the then current form of these Terms and Conditions of Use. Any case identifying with Viper Online Marketing’s site should be administered by the laws of the country of Western Australia Viper Online Marketing State without respect to its contention of law provisions. 1.1 Viper Online Marketing shall provide consultations in favour of The Client in the development and execution of The Client’s services translating to work fulfilment. 1.2 Viper Online Marketing shall perform all of the Digital Marketing Services assigned to it in a timely and professional manner, herein after “response time”. 1.3 Viper Online Marketing, in consultation with The Client, will determine the methods, details and means of performing the work to be carried out for The Client. 2.2 Viper Online Marketing shall hold the confidential and/or privileged information in confidence, and shall not use the same other than for the purposes of its business with The Client, and shall disclose it only to its officers, directors, or employees with a specific need to know the said confidential information. Viper Online Marketing shall not disclose, publish or otherwise reveal any of the confidential and/or privileged information received from The Client to any other party whatsoever except with the specific prior written authorization of The Client. 2.3 Confidential and/or privileged information furnished in tangible form shall not be duplicated by Viper Online Marketing except for purposes of this Agreement. Upon the request of The Client, Viper Online Marketing shall return all confidential and/or privileged information received in written or tangible form, including copies or reproductions or other media containing such confidential and/or privileged information within five (14) days of such request. 2.4 This section shall survive notwithstanding the termination of this Agreement. The Client recognizes that Viper Online Marketing providing services under this Agreement does so non-exclusively and that Viper Online Marketing may perform similar services for other persons, companies and organizations and this Agreement shall not prevent Viper Online Marketing from using such personnel for the performance of such similar services for such other persons. Viper Online Marketing likewise recognizes that The Client may engage other consultants to perform similar services from time to time, and this Agreement shall not prevent The Client from using such consultants, for so long as it does not violate other statutes or attachments to this Agreement. This agreement and performance hereunder and all suits and special proceedings hereunder shall be construed in accordance with the laws of Western Australia, to the exclusion of its rules on conflicts of laws. Both Parties agree that should their dispute reach the courts of law, the competent courts of Western Australia shall have exclusive jurisdiction over the same. The covenants contained herein shall be presumed to be enforceable, and any reading causing unenforceability shall yield to a construction permitting enforcement. If any single covenant or clause shall be found unenforceable, it shall be severed and the remaining covenants and clauses enforced in accordance with the tenor of the Agreement. In the event a Perth court of law should determine not to enforce a covenant as written due to over breadth, the Parties specifically agree that said covenant shall be modified and enforced to the extent reasonable, whether said modifications are in time, territory, or scope of prohibited activities. In Order to facilitate the work of Reputation Management, it is imperative that Viper Online Marketing be provided the credentials to web properties owned by The Client. In addition to this, On-Page recommendations must be implemented in the first 30 days of every Campaign. The company does not warrant the effectiveness or lack thereof of performance if the On-Page recommendations it sets forth in accordance with this agreement are not implemented or whole implementation is not facilitated. SEO, Social Media, Pay Per Click Advertising and Digital Marketing is an ever changing environment. We are a company that prides itself in A-B Testing all our proprietary processes before they are implemented on The Client sites. Despite our testing, the industry is heavily driven by the algorithm developed by Google, Bing, Yahoo, Facebook, Twitter and other technology companies. We do not warrant our work from negative performance that are driven by algorithm changes. Viper Online Marketing offers no refunds for work completed. In short, we have a NO Refund Policy. The Client is required to make payment/s on a monthly basis as the invoice states. You have a 5 day grace period in which to pay you outstanding amount. When monthly service fees are not paid within the 5 day grace period, the campaign goes on hold. You will be advised to pay immediately. If payment is not received then your campaign will be suspended. In order to re-activate your campaign we will charge a re-activation fee of $66.00 if the campaign is under 30 days past due on the most recent invoice. Once re-active, the campaign will re-launch on either the 1st or 15th of the month, and continue on a monthly billing cycle respectively to the re-launch date. For one time service orders, such as website design and mobile app design, The Client will be required to pay either a one off cost or 3 monthly instalments of 35% up front (deposit), 35% in 30 days and then the final payment of 30% in 60 days. If The Client requires additional web/app design/development work outside of the scope of the proposal this will be billed at an hourly rate of $130.00. Viper Online Marketing will not proceed with any work that would exceed the original estimated total until receiving approval from The Client for the new estimated total. By either party: Upon written notice to the other party of a material breach of this Agreement. Such termination notice shall be automatically effective thirty (30) days following the receipt thereof, unless the breach has been cured prior to the expiration of such thirty (30) days. 9.1.1 Viper Online Marketing’s persistent failure to meet such turnaround time as specified in Exhibit 9.2. 9.2.2 Material breach of this agreement as set forth in the exhibits attached. 9.2.3 The Client’s persistent failure to set proper client expectations regarding the nature of services delivered. PLEASE NOTE: Viper Online Marketing’s Terms and Conditions Agreement is subject to change.